Congratulations to the 15th Kansas 21st Century Community Learning Center Cohort! The Kansas Enrichment Network would like to congratulate the following organizations for being the 15th Kansas 21st Century Community Learning Centers (21st CCLC) cohort! These organizations’ programs will join the other 57 21st CCLC programs in the state bringing the current total of 21st CCLC funded programs to 72! For more information about Kansas 21st CCLC programs, click here to visit the Kansas Department of Education 21st CCLC website. If you are currently looking for additional funding opportunities for your afterschool program, visit the Network’s grant matrix located here. 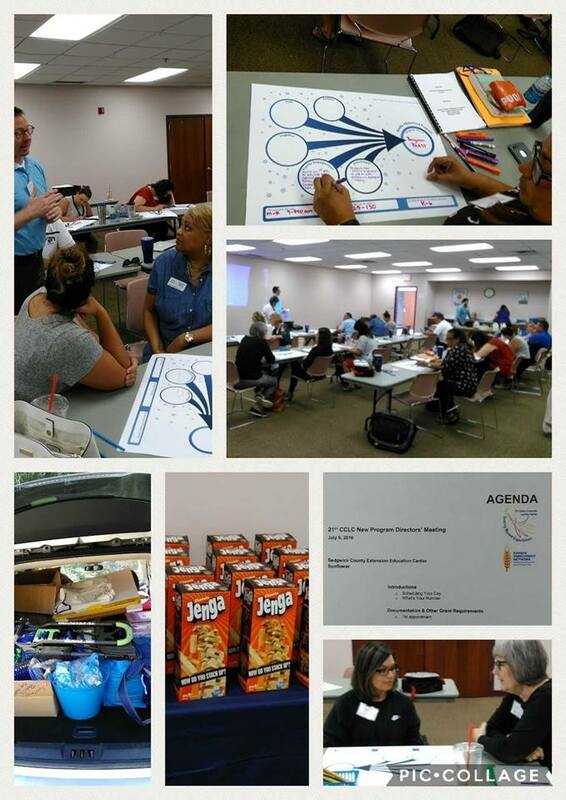 These pictures were taken at the New Directors’ Meeting in Wichita, KS on July 9, 2018. Every new cohort gathers before their fall programs start to network with other directors and receive resources to prepare them for the upcoming year with their new grant!